Local students visit Avalon University School of Medicine. 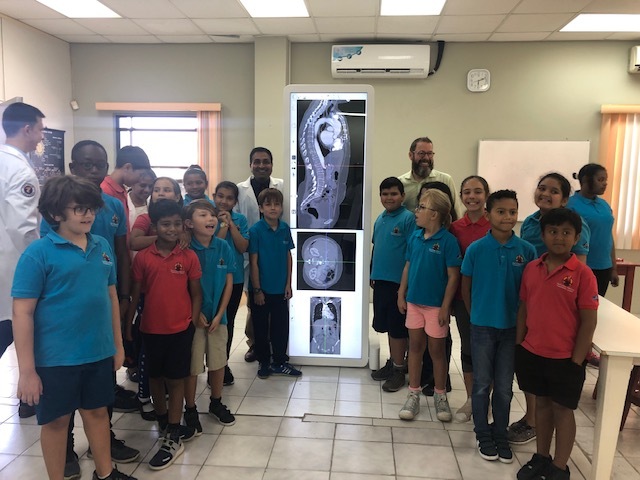 WILLEMSTAD - Students from one of the school's here in Curaçao, CAPS, visited Avalon University School of Medicine as part of an educational field trip. Students were excited to visit the Anatomy, Clinical Skills, Physiology, Histology, and Pathology Labs on the campus. The Faculty, Administration, and Deans were able to interact with the students; explaining generally what happens in each of the labs and were happy to answer their questions. Needless to say, the trip was enjoyed by both the CAPS students as well as the Avalon family.